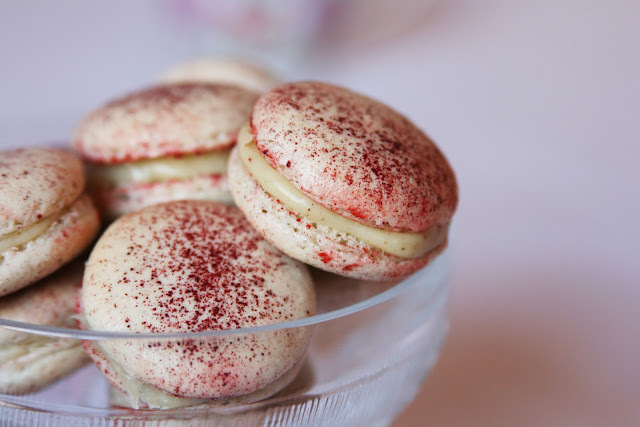 I've been wanting to post a recipe about macarons for quite a long time. This macarons recipe I'm about to share with you it's not new, somehow it got lost among the million of folders in my computer. Today, while checking my blogging 'to do' list I found out that the majority of my cookies and macarons recipes are still unpublished and I thought that maybe you'd like to see how my second batch of macarons came out (let's forget about how my first batch looked cause...well, they weren't very delectable at all). 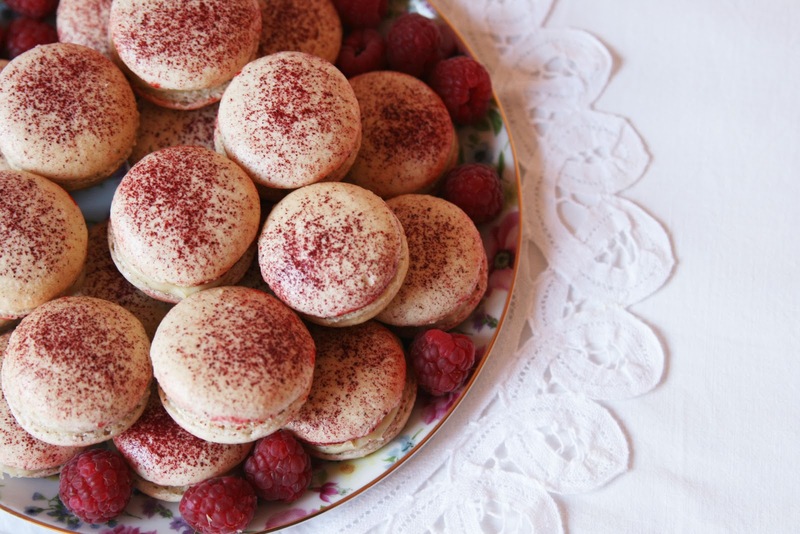 Macarons are delicious, utterly cute and 'très chic' but a tricky thing to nail. Not everybody (if not just a few talented ones) can make good frenchy macarons. To make picture-perfect macarons is a task for the brave-hearted and stubborn (really, really stubborn) bakers. But don't give up, they are worth the effort and an amazing challenge for every baker. Last, but not least, please oh please! Don't mistake macarons with macaroons. 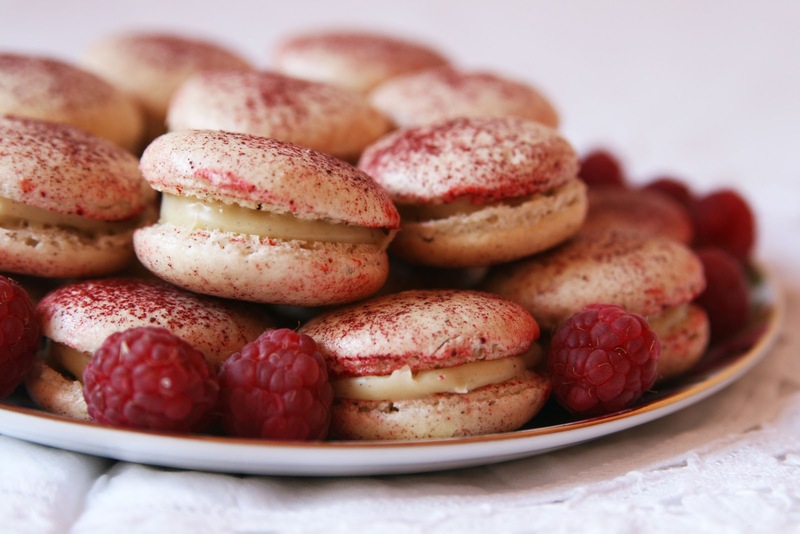 Excuse me, but my eyes hurt so much when I read 'macaroon' in some recipes, websites, etc. They are NOT THE SAME. In fact, every macaron lover would consider it an insult. 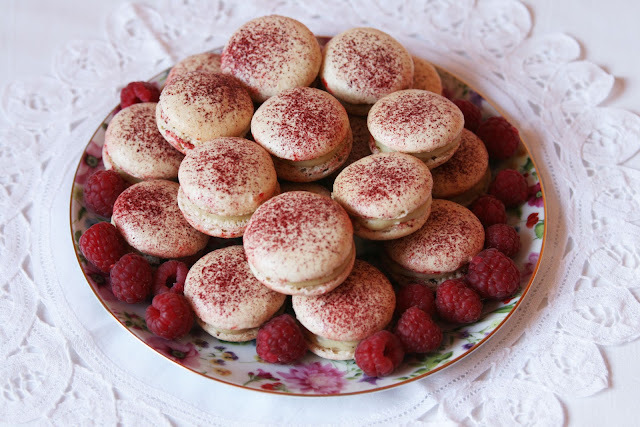 Recipe adapted from the book 'Macarons' by Annie Rigg. 120-125g egg whites (around 3 eggs). piping bag with 1cm diameter tip. Blend confectioners sugar and almonds in a food processor for 30 seconds until thoroughly combined. Set aside. 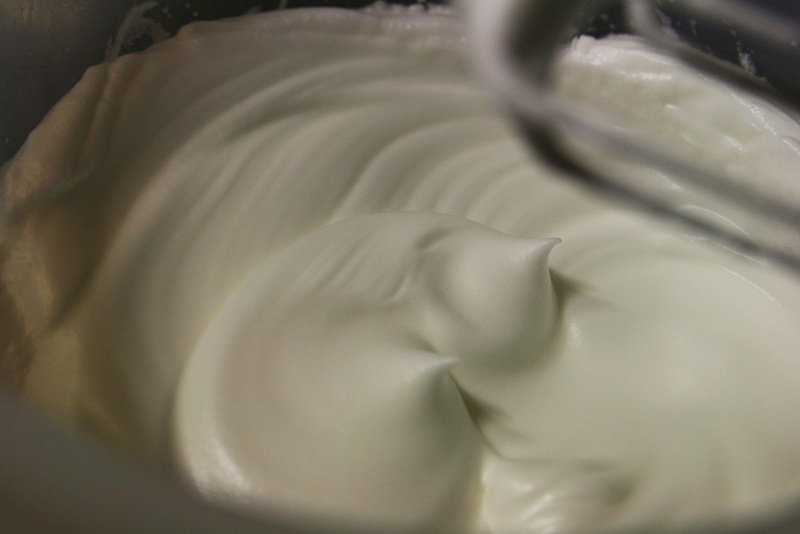 Beat egg whites with salt until they hold a stiff peak. Continue to whisk at medium speed while adding the super fine sugar a teaspoon at a time. Mix well between each addition to ensure the sugar is thoroughly incorporated before adding the next spoonful. The mixture should be thick, white and glossy. Add vanilla extract and any food coloring (I didn't use food coloring this time so I skipped this step). If you use a food coloring: dip a toothpick into the paste and stir into the mixture, mixing well to ensure the color is evenly blended. Scrape down the sides of the bowl with a rubber spatula. Fold the ground sugar and almond mixture into the egg whites using a steel spoon. 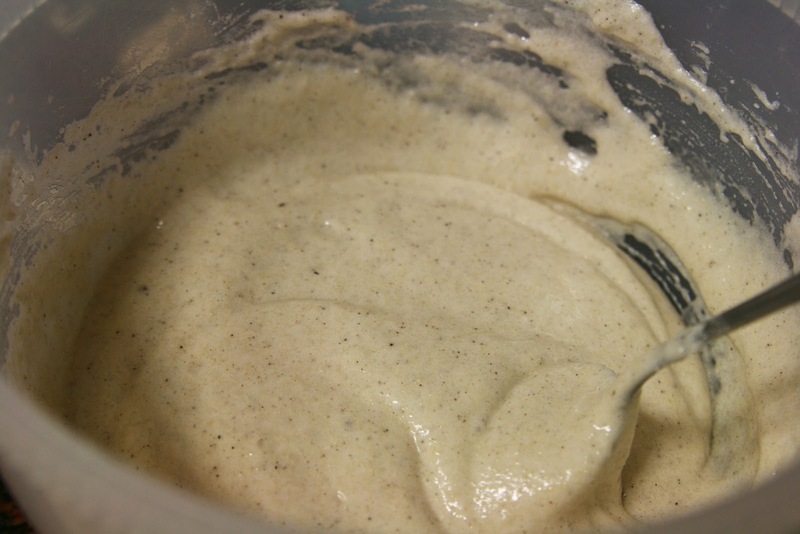 The mixture should be well incorporated and smooth (this can take up to a minute). When it is ready, the mixture should drop from the spoon in a smooth molten mass. 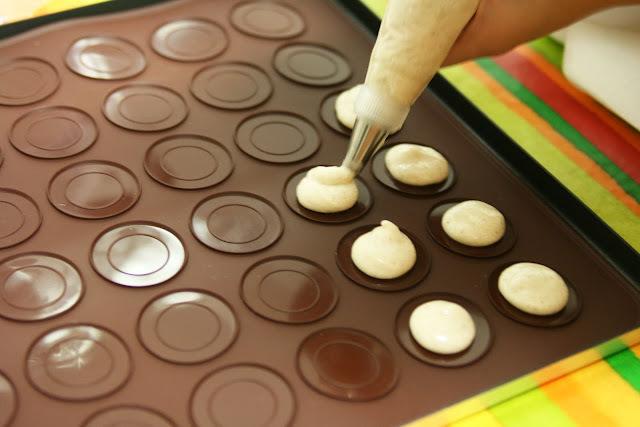 Fill the piping bag with the mixture and pipe evenly sized rounds (about 5cm/2 inches across) onto the baking sheets. Tap the bottom of the baking sheets sharply on the work surface to expel any large air bubbles. Splatter red food coloring on the macarons with a pastry brush. 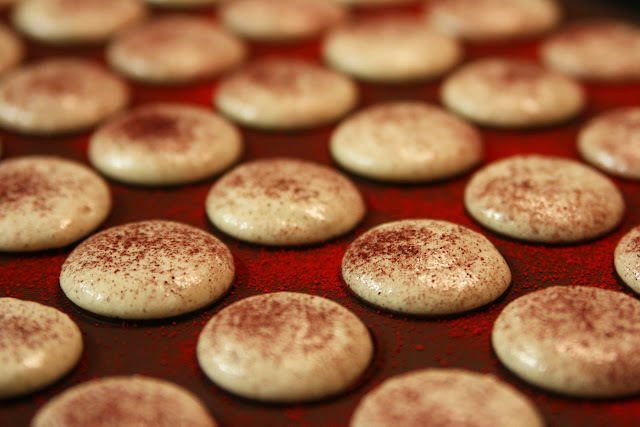 Leave the macarons for at least 15 minutes, and up to one hour, until they have 'set' and formed a dry shell. They should not be sticky, tacky or wet when tested with your fingertip. Preheat oven to 170ºC (325F). Bake the macarons on the middle shelf of the preheated oven, one sheet at a time, for 10 minutes. The tops should be crisp and the bottoms dry, it should form the famous 'feet' on the base. Leave to cool on the baking sheet. Meanwhile we can start making the white chocolate ganache. Put the white chocolate in a heat proof bowl. Put the cream and vanilla extract in a small saucepan and bring to a boil. Pour the cream over the chocolate and whisk together until the mixture is smooth and creamy and all the chocolate has melted. Cover with plastic and put the bowl in the fridge so the mixture can thicken. Turn the half of the macarons over. Put the white chocolate ganache in a piping bag. Pipe a fine/medium layer of ganache on each bottom half of the macaron. *NOTE: the recipe reads "pipe four dollops of ganache on each bottom half", but I wanted to give a more classical look so I piped a gentle layer of ganache and instead of putting the raspberries in between the ganache I only used one raspberry for each macaron and placed them in the middle. Put the macarons back in the fridge so they can harden. Let them sit in the fridge for up to 30 minutes. To enjoy your macarons at their best take them out of the fridge for approximately 10 minutes before serving. 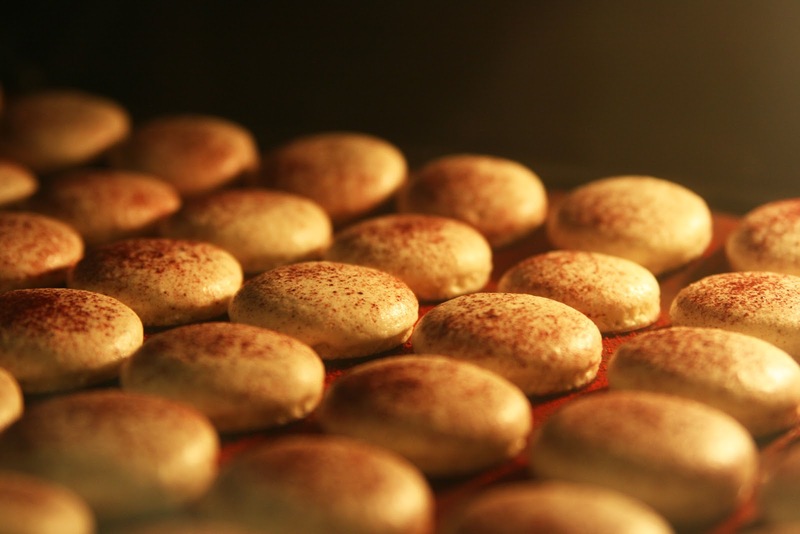 -Temperature and humidity: high humidity is macaron's worst enemy! 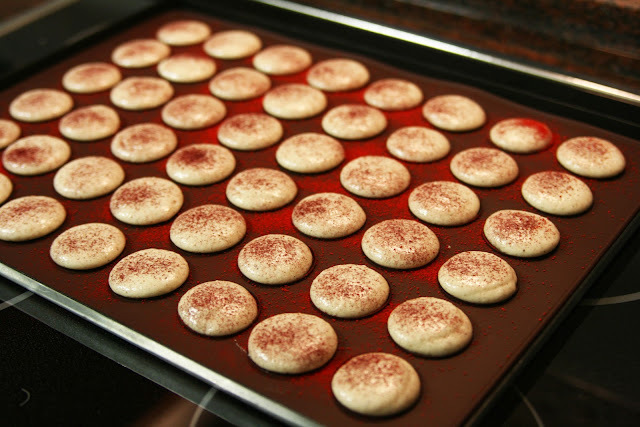 When you have to leave the macarons to set and form the dry shell make sure that there's low humidity in the house. The recipe calls for 15 minutes to rest the macarons but I'd highly encourage you to leave them more time because, in my case the 'feet' of the macarons was good but the texture inside was a bit too sticky for my taste. I live in Barcelona, very close to the beach and the weather is very humid most of the times. - Carefully fold in the dry ingredients making circular movements and preferably using a plastic spatula. Muchas gracias Silvia, de verdad! :-) No son tarea fácil los macarons...tienen gran dificultad! Sobre todo si eres una amante de ellos y has probado los mejores...luego comparo con los míos y me frustro! Jeje. Éstos macarons fueron mi segundo intento, no quedaron para nada perfectos pero estaban buenos. Voy a volver a intentarlo durante esta Navidad, en casa nos encanta comernos unos cuantos macarons en Nochevieja. 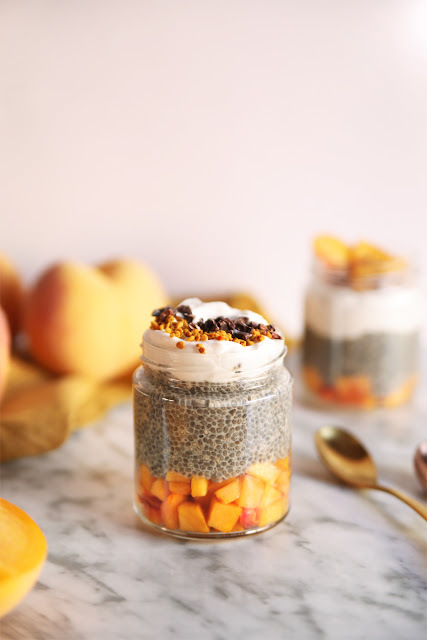 Hi- this recipe looks great! 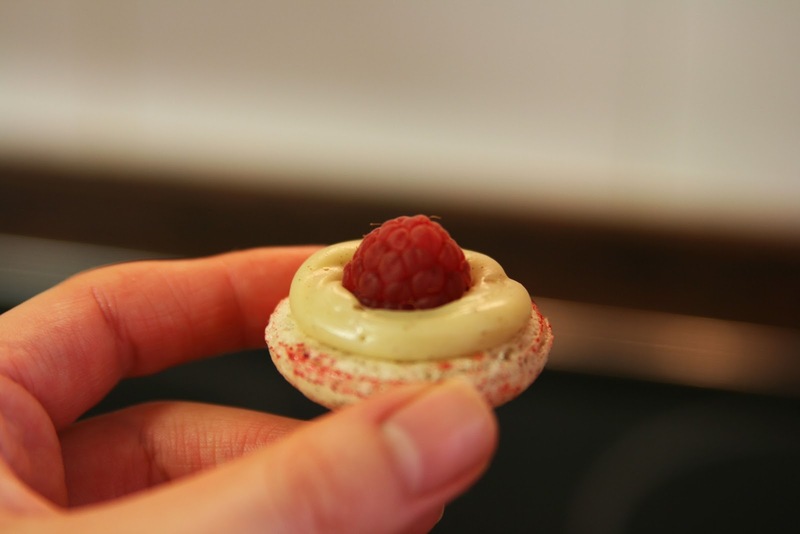 Have made macarons before but have been looking for a good white chocolate and raspberry recipe! Am going to give it a go this weekend! What type of cream do you use? Whipping or double? Anna, thanks for your comment. I'm really sorry it took me so long to reply. What I used means (literally) in spanish 'liquid cream'....I would suggest you to use double cream. Let me know if you get good results or if I can help you in anything else!